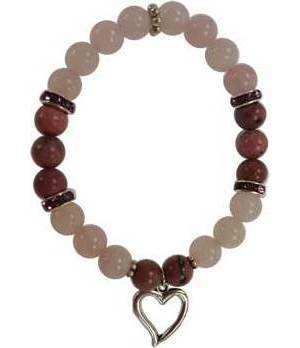 This rose quartz and rodhonite beaded bracelet is highlighted with faceted pieces and accented by a pewter heart. Strung on elastic cord. Once size fits most.